Surveillance drones or unmanned aerial systems (UASs) raise significant issues for privacy and civil liberties. Drones are capable highly advanced surveillance, and drones already in use by law enforcement can carry various types of equipment including live-feed video cameras, infrared cameras, heat sensors, and radar. Some military versions can stay in air the hours for hours or days at a time, and their high-tech cameras can scan entire cities, or alternatively, zoom in and read a milk carton from 60,000 feet. They can also carry wifi crackers and fake cell phone towers that can determine your location or intercept your texts and phone calls. Drone manufacturers even admit they are made to carry “less lethal” weapons such as tasers or rubber bullets. Thanks to a provision in the FAA Modernization and Reform Act of 2012, drones use in the United States is set to expand rapidly over the next few years. The Act includes provisions to make the licensing process easier and quicker for law enforcement, and by 2015, commercial entities will also be able to apply for a drone authorization. In January 2012, EFF sued the Federal Aviation Administration (FAA) under the Freedom of Information Act to determine which public and private entities had applied for authorization to fly drones. In response to the lawsuit, the FAA has released lists of the 60 public entities and 12 private drone manufacturers that have sought permission to fly drones in the US. The agency has also released several thousand pages of records related to the entities’ drone license applications. The FAA has yet to provide information on how these drones will be used. EFF has also partnered with MuckRock, the open government organization, to conduct a “drone census” with the goal of determining just that. 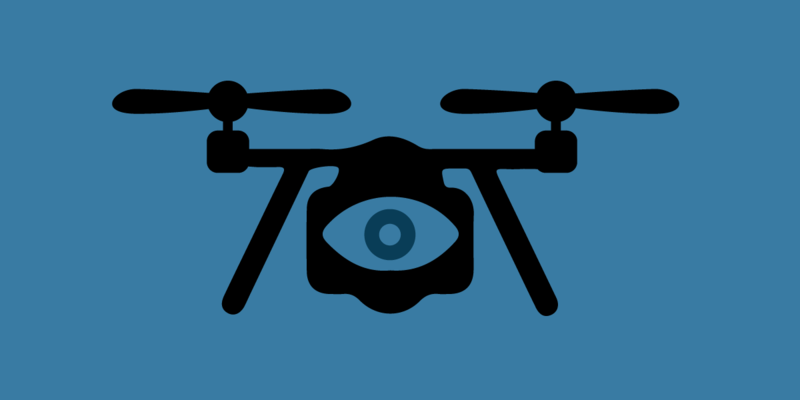 We have provided an easy-to-use form that ordinary citizens can use to file a public records request with their local police agency to ask what type of surveillance the agency plans to conduct with drones, if any, and what type of privacy protections it is providing its citizens. Privacy law has not kept up with the rapid pace of drone technology, and police may believe they can use drones to spy on citizens with no warrant or legal process whatsoever. Several bills are currently going through Congress, which attempt to provide privacy protections to Americans who may be caught up in drone surveillance. As the numbers of entities authorized to fly drones accelerates in the coming years—the FAA estimates as many as 30,000 drones could be flying in US skies by 2020—EFF will continue to push for transparency in the drone authorization process and work to ensure the privacy of all Americans is protected. EFF position on granting authorization to DHS and DOJ to shoot down, seize and/or intercept privately owned drones.